Many users did not find merit in upgrading their Facebook profiles to timeline format. 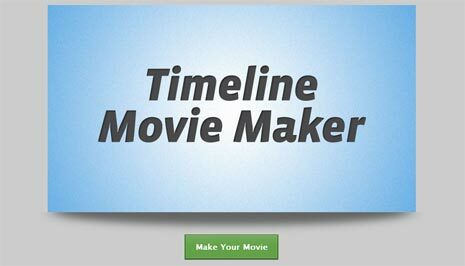 However, new web service “Timeline Movie Maker” might tempt few users to love their Facebook profile in the timeline format. This app allows you to quickly create and generate (video) movie featuring information about you taken from your timeline profile contents. Facebook Movie Maker creates video glorifying you by showing your images, special moments, location and much more. All the prominent stuff is taken from your Facebook timeline profile and mashed up into a (very) professional looking video. 1. To get started, you need to switch to timeline format for your Facebook profile (if not already using). You can easily enable timeline format of Facebook profile and then proceed using this cool app. 2. Now open Timeline Movie Maker website. Then click ‘Make your Movie’ button at the bottom. You will get pop-up box asking you to login into your Facebook account. After login, authorize this app to access your basic profile information including photos etc. 3. After successful authorization, this online tool will start generating video of your Facebook timeline profile. Within few minutes your profile video should be ready for quick preview and sharing with other Facebook friends. 4. Once completed, you can preview the final video. From the bottom part of final video preview page, you can change the background music track or re-create video using different photos. This application will create video similar to as below. Yes, there is nice sound track along with flying information and photos you have added to your Facebook profile over period of time. Will you share such video? While few users won’t have issue, others may not want to showcase their Facebook past in quick spoon feeding style of a video showing your past information and photos. Barring privacy concerns, this app does generate professional and very engaging video from contents available on your Facebook profile in timeline format. just create some video tutorial how to get the video..